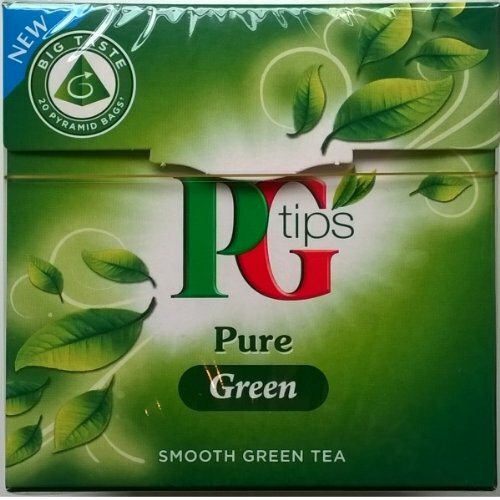 PG Tips is based in London, U.K., providing the people of Britain (and around the world) delicious tea since the 1930’s. A cup of tea in the U.K. is known as a ‘cuppa’ and this seasoned tea company advises that it’s the nation’s favorite cuppa, delivering a terrific range of teas, from fruit, herbal teas and green teas to premium blends and decaf. In 1869, Arthur Brooke established his first shop in Manchester, offering reliably delicious tea blends which led to the success of his company and the nation’s first cuppa. Under the name ‘Pre-Gest-Tea’ (alluding to the Digestive Tea idea of having a cuppa before dinner) Arthur launched his new brand in the U.K. in the 1930’s. Store-owners abbreviated the name to PG and Arthur added the ‘tips’ to indicate how this tea company uses only the top two leaves and bud of each plant. PG Tips’ first television commercial was broadcast in 1956 and in the 1960’s, this tea company stunned the nation when it introduced the first tea bag. It didn’t take long for tea bags to outsell loose-leaf tea and in the 1980’s, the mug revolution came along. At that time, 50% of tea sippers were using a mug rather than using proper tea cups and tea pots. It was then that PG Tips came up with stringed tea bags, just for mugs. Then the revolutionary pyramid bag was launched by this tea company in the ‘90’s, with enough room inside to act like a tea pot, allowing the leaves to move and steep better. PG Tips’ first decaf line was released in 2004 and in 2005, they celebrated 75 years by commissioning a hand-crafted diamond tea bag worth £7,000. In 2006, Monkey the mascot arrived on the scene. Like a puppet with a personality, he has a passion for tea and enjoys a level of celebrity afforded by the fact that he’s become a national treasure. Since then, PG Tips has gone from strength to strength, evolving and continuing to create their famously tasty cuppas, which are less than 0.2% caffeine. In the U.K., tea is the second most consumed beverage after water, so PG Tips makes sure that they continue to reduce the impact of all that production of tea on the environment, including Rainforest Alliance certification. This tea company is proud to be the first major label in the U.K. to sell black and green teas that are fully Rainforest Alliance certified. 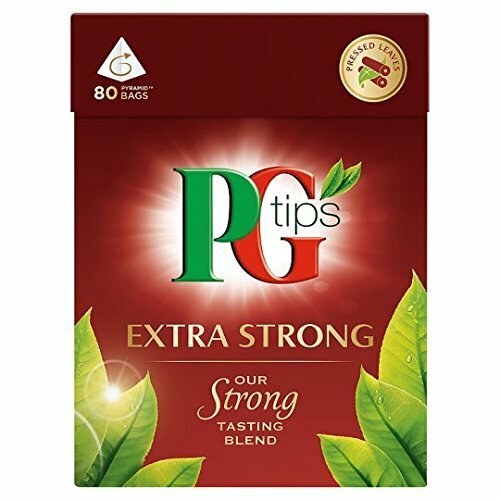 Also focusing on waste, PG Tips works closely with their master blenders to deliver great tasting tea with approximately 0.2 grams of tea per bag. This practice has reduced almost 1,000 tons of waste going into landfills each year. If you’re a tea drinker who doesn’t like to mess around with anything less than a robust cup of tea, then PG Tips has a strong, bold blend to kick-start your day. Using their famous pyramid bags, this tea provides a bright color and richly satisfying flavor. This blend is considered a real British cuppa. Need a little extra kick you can only get from tea for a sore throat? This is a good place to start. According to PG Tips, Zen is just a mug away with this deliciously smooth Green tea. Considered England’s favorite, this fresh and pure tea is crafted from only the freshest tea leaves, which are dried within hours of picking. If you’re a green tea purist, you might want to check out this delicious blend. This tea is considered PG Tips’ best quality blend, with a fine mix of African, Sri Lankan and Indian Assam teas. A complex and balanced blend which is considered this tea company’s most indulgent cuppa, has a bright, golden color and rich aroma, making it an extra special tea. Reviewers love it and advise that it doesn’t get bitter, no matter how long it’s steeped. 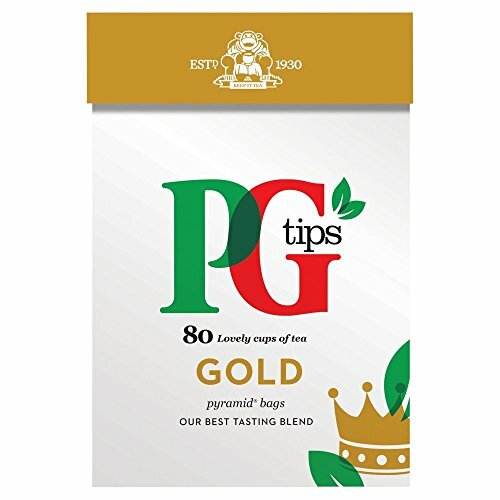 PG Tips is a well-loved and trusted tea company in Britain, offering tea pods and granules for those who prefer a different way of preparing their brew. Check out their no-nonsense, user-friendly website that has a section all about tea and the benefits of green tea. Find out what all the fuss is about and make a cuppa worth remembering.